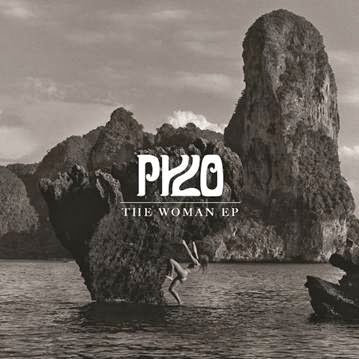 Music Review // Pylo – The Woman E.P. Falling in love with Pylo doesn't take much effort, with debut single Enemies released in June 2013 truly grabbing you firmly by the ears and demanding your attention. With the upcoming release of their next EP ‘The Woman’, they are back for seconds. Forming early in 2012 after their previous projects came to a close, the rock five piece from Bath are rising fast, and that's not to say they didn't start strong. Winning Venue's Band of the Week award in mid-2013, their debut gig selling out lightning fast, and attracting the attention of some potent industry heavies all the signs were pointing to a bright future in Pylo's cards. Pylo wear their influences proudly from Pink Floyd to Kings of Leon without suffering a sense of fanboy simulation, but rather a talented and flattering display of how their influences are ever-shaping the band's unique sound. As we dive into the meat of The Woman, huge vocals, tasty retro keys, large servings of guitar (both restrained and truly balls-out), all backed by a tight and heavy rhythm section are on the menu. Proceedings start with balladesque Simple Souls, and the honey-sweet vocal assault of Matt Aldus, carrying with it an effortless weight. Greeted familiarly with a thick wash of guitars and keys mixed tastefully but by no means modestly, things start really hotting up. Upon the delivery of lines such as Simple Souls' “If troubles all you are, and love is all we have, let it end.” it becomes apparent that we are not wading into another sickly collection of love-songs-by-numbers, but rather something deeper and more thoughtful. The title track of the EP is the melancholic closer and opens just-so with a restrained tempo, restrained chord work and heartstring-tugging harmonica. With a Black Crowes swagger, the tune drifts by sweetly, delivering the classic rock ballad with authenticity before dropping us into the chilling swell of the enormous Hammond and guitar driven closing half. Suitably tongue-in-cheek sexual without lowering its class with lines like “You gotta love the way she do when she's dancing with the blues, she goes all the way down.” they hit the Brit-rock nail squarely. Overall The Woman is accessible, dynamic and overflowing with attitude. Though not as balls-to-the-wall as previous offerings the EP is far more delicately balanced, presenting a conscientious and tasteful collection of track. Currently residing in a studio/rehearsal space out in the country, “away from the temptations of the city.” as Aldus put it, they are busy at work on the EP, which is penned for release some time in March of 2014 on Naim Edge, with tour dates to follow.